George Arbel was born in Marseilles, France in 1949. His parents immigrated to Israel and settled in the beautiful village of Ain Karem, historic birthplace of John the Baptist. George was inspired by the landscape and people of the Holy Land. When he was grown up he traveled to Europe and lived in Italy and other countries for six years. He became fluent in four languages in addition to Hebrew and Arabic. It was in 1999 that he met Anja Häfner, who recognized his passion for photography and purchased for him a Linhoff 617 camera. George returned to Israel and started photographing the grandeur and beauty of the land. He became a professional photographer, specializing in panoramic format pictures. George was commissioned work from the Israel Nature and Parks Authority and the Menahem Begin Heritage Centre. Works of his were purchased by the Foreign Ministry, the Municipality of Jerusalem, the Jerusalem Foundation and other institutions and private customers. Many of his photographs of Holy sites adorn Churches worldwide. A Jewish School in Paris purchased several photographs taken by George. 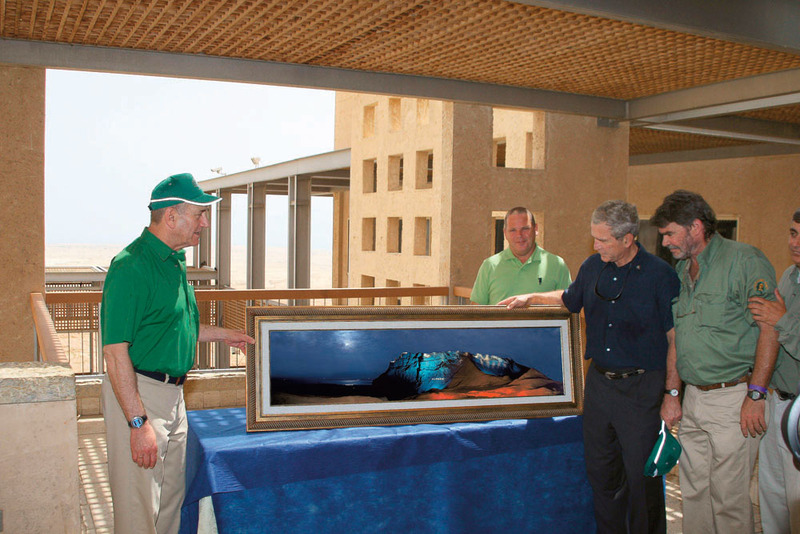 One of his most powerful images, a panoramic picture of Masada, historic site of Jewish resistance to Roman rule, was presented to former U.S. President George W. Bush, on his visit to Masada. Israeli President Shimon Peres also received this panoramic night time picture, which adorns his office. Ranging from the desert south to the lush green hills of the Galilee, George's pictures are a celebration of the beauty and diversity of this land, its people and its legacy.